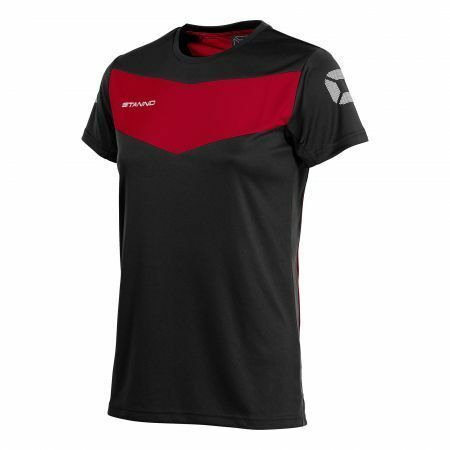 Fiero Training Shirt - Junior - Black/Red - Includes TBGYFC OR TUFC Embroidered Logo. This sports shirt with a tailored, feminine fit features a ClimaTec finish which ensures optimal moisture transport. 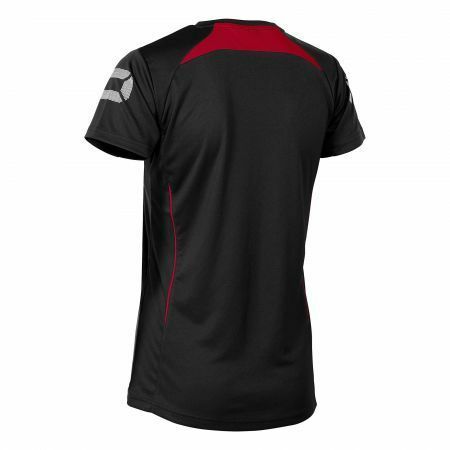 With the breathable mesh fabric on the back and under the arms the shirt feels light. The collar is made of fine rib material. The design includes contrasting coloured piping on the sides. The details hide in the subtle asymmetrical lineation, every aspect of the shirt is designed with the word pride in mind. Copyright © 2019 Chiltern Leisure. All rights reserved.